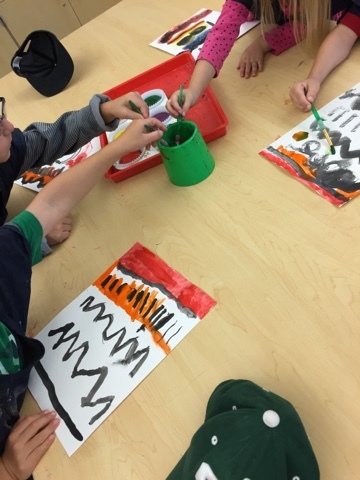 At the beginning of the year we are working on procedures with the painting materials, fine motor skills with holding a brush. 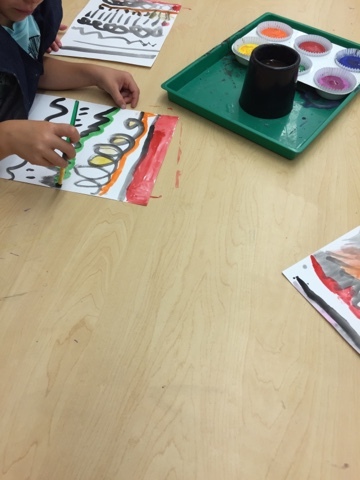 We have some great artists! Check out http://cassiestephens.blogspot.com/?m=1 where I got this great lesson. She's amazing!